Pilla Nuvvu Leni Jeevitham is the début film for Sai Dharam Tej and as to be expected for the launch of Tollywood’s latest hero, it’s a mass action adventure with plenty of comedy and a smidgeon of romance. 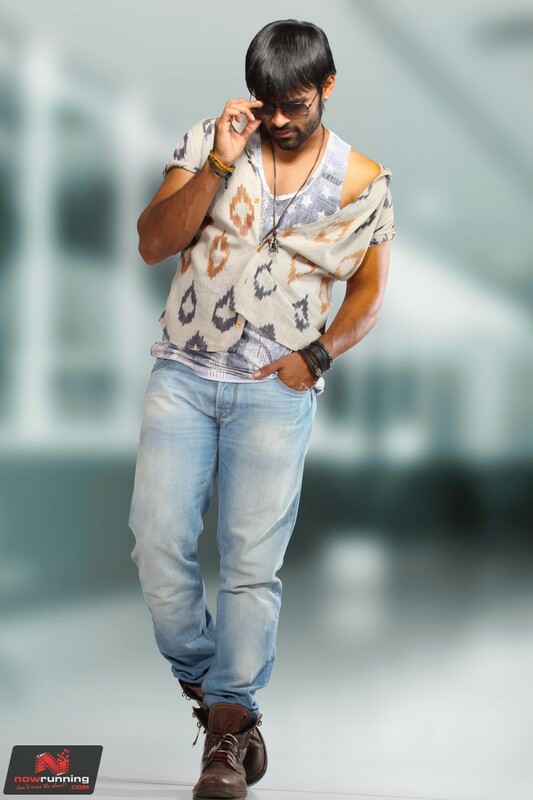 Although there is a fine and distinguished support cast, the camera focuses mainly on the latest member of the mega family to make an appearance on the big screen, and Sai Dharam Tej succeeds in holding attention centre stage for the 2 hours and 12 minutes screen time. 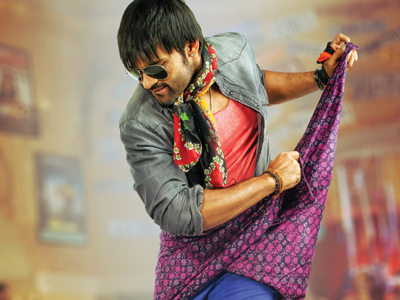 Chiru’s nephew has inherited the mega-family dancing genes and more than a little of his uncle’s charisma, although for most of the film he reminds me of a Labrador puppy, boisterous, exuberant, and just needing a little bit more time to grow into his personality. It’s not an outstanding movie, but it’s perfectly fine for a debut, and director A.S. Ravi Kumar Chowdary delivers an entertaining hero-centric story that does have a few unexpected twists along the way. The film begins in fairly traditional mode with two politicians, Gangaprasad (Sayaji Sjinde) and Prabhakar (Prakash Raj), vying with each other for the position of Chief Minister. Gangaprasad is outed as corrupt by investigative journalist Shafi (Shafi), who seems content to announce such major news on an apparently relatively small TV network. Perhaps that is why Gangaprasad feels that no-one is likely to notice if Shafi disappears immediately after these revelations, and sends his tame thugs to dispose of the journalist and his wife. How could anyone be suspicious of the politician involved, if the journalist revealing corruption goes missing immediately after said revelations? Hm. Gangaprasad also orders the death of Siri (Regina Cassandra), which is the threat that starts the politician’s eventual downfall, although the reasons why her death is necessary aren’t explained until later in the story. Maisamma (Jagapathi Babu), the rowdy sheeter (according to the subtitles – I have no idea what a rowdy sheeter actually is, but it seemed an adequate description) charged with carrying out these orders receives a visit from Seenu (Sai Dharam Tej) who asks to be killed by the gang. The explanation involves a flashback to the story of the romance between Siri and Seenu, but despite that being the ostensible reason for the whole charade, the romance is given short shrift overall. There is very little chemistry between the two actors, probably because in true college romance formula, Siri initially can’t stand Seenu and it takes some time for their relationship to develop. Once a couple, they also don’t spend much time together at all; not even in the songs, which are focused more on showcasing Sai Dharam Tej and his undeniable skills in that area. Needless to say, although he’s a rowdy with a penchant for dealing in death, Maisamma is reluctant to kill by polite request, and demands an explanation which forms a large part of the rest of the first half. The tone of the story is set early on when Seenu breaks into dance to illustrate his romance with Seenu and the gang of rowdies join in. I loved this, partly because there is nothing more amusing than watching big tough guys try to dance, but also because they all look as if they are really enjoying themselves. So good to see these guys do more than just hang around looking grim and then being beaten into a pulp by the hero. The comedy continues with Maisamma’s right hand man, Raghu Babu who along with Prabhas Sreenu and Ahuti Prasad, provides most of the humour for the film. No sign of Brahmi or Ali, thankfully, and the comedy feels much fresher as a result, even though it’s mostly the usual slapstick and innuendo. Sathya Krishna is excellent and very funny in a small role as Raghu Babu’s wife, and demonstrates just why I think she deserves larger roles in more films. The second half does drag a little as Seenu manipulates everyone into doing what he needs them to do, but overall it’s funny and there is just enough action to keep the film moving in the right direction. Part of the lull may be because the first three songs are over quickly in the first half, and of the remaining two, one is used over a fight scene. That does work well and is clever use of the track, but does mean there is less peppy dancing later in the film. However Jagapathi Babu and the rest of the support cast are excellent as they try to chase down Seenu and Siri, and along with Sai Dharam’s Tej’s enthusiasm the lulls are temporary. Perhaps the biggest selling point of the film is that Seenu isn’t a hero with amazing fighting skills, although he can fight when he has to, but rather he relies on his wits to get him out of trouble. Although his manipulations get ever more unrealistic and the comedy becomes improbable, Seenu has enough charm to carry it off. His dancing to Anoop Rubens excellent soundtrack is an advantage, and although he isn’t quite as smooth as his cousins, Sai Dharam Tej is definitely someone to look out for in the future. Regina Cassandra is also very good in a role that doesn’t give her too much scope, but she showcases a wide range of emotions effectively and looks to be capable of more. With an entertaining storyline, excellent support cast and likeable hero Pilla Nuvvu Leni Jeevitham is worth catching in the cinema for some good choreography and more than a few laughs. This entry was posted in Tollywood and tagged A.S. Ravi Kumar Chowdary, Ahuti Prasad, Anoop Rubens, Jagapathi Babu, Pilla Nuvvu Leni Jeevitham, Prabhas Sreenu, Prakash Raj, Raghu Babu, Regina Cassandra, Sai Dharam Tej, Sathya Krishna, Sayaji Shinde, Shafi, Telugu. Bookmark the permalink.